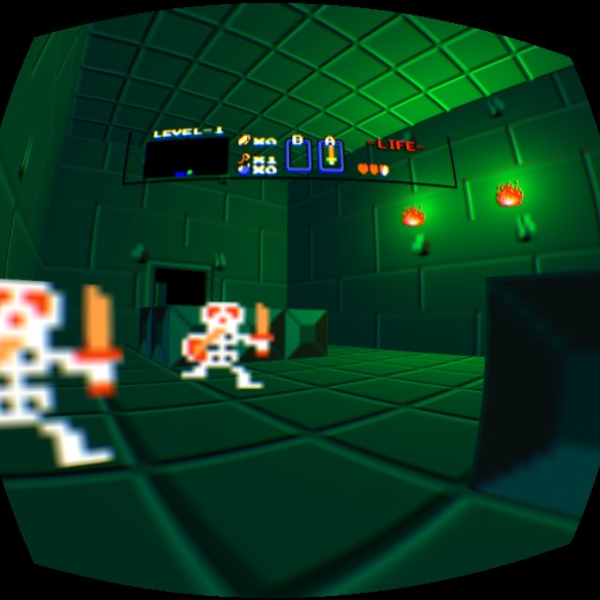 The Legend of Zelda for NES is loved by anyone who has ever heard of Nintendo, so one developer has decided to remake this 8-bit classic as a first-person game for the Oculus Rift virtual reality headset. Named ZeldaVR, anybody with a sense of nostalgia will fall in love with this instantly. "Gameplay and artwork are virtually identical to the original NES classic," Ubiquitron, the game's developer commented. The key difference being that of perspective, moved from the top-down view into the first person. 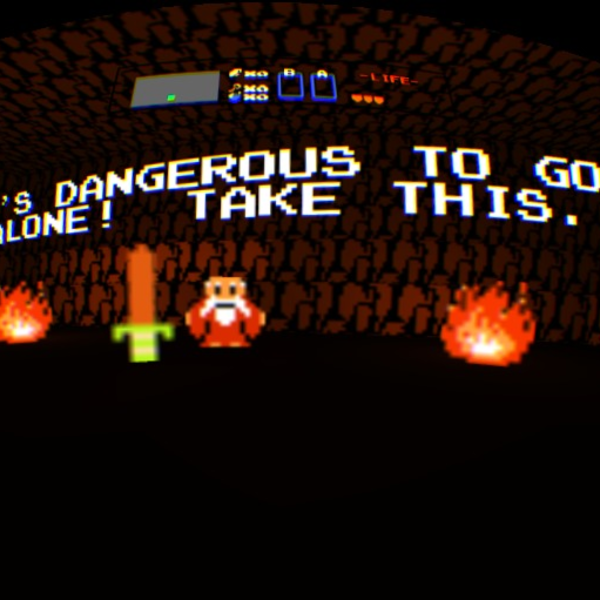 Be warned, however, venturing the polygonal world of Hyrule through the eyes of Link can be rather nauseating. YouTube user "Vaecon" describes how roughly 20 minutes of playtime made him feel rather ill.
Luckily for those easily susceptible to this kinda of nausea, the game is still in beta; only the first dungeon and overworld is open for exploration. If you're interested, Ubiquitron hopes to release this for free next month, with fingers crossed Nintendo don't deliver a cease and desist to their door. 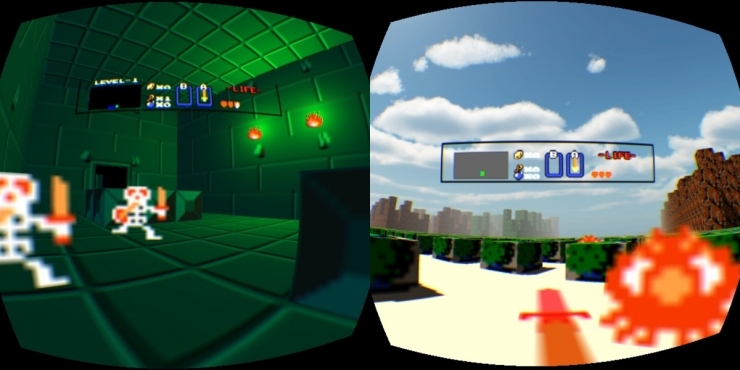 Have an Oculus Rift (you lucky sod)? Download ZeldaVR Beta here for free and start playing.